Babyology explores Japan – Tokyo Baby Cafe! High on our Mandi and Ben’s ‘must-see’ list in Tokyo was the incredible Tokyo Baby Cafe (and they didn’t hold back on taking lots of pictures!). 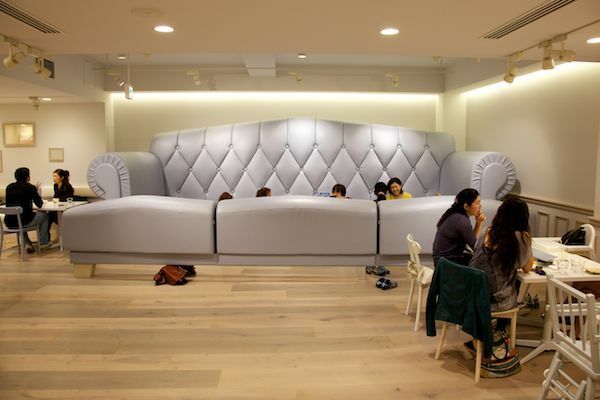 Contrary to what the name suggests, the Tokyo Baby Cafe was designed for parents. 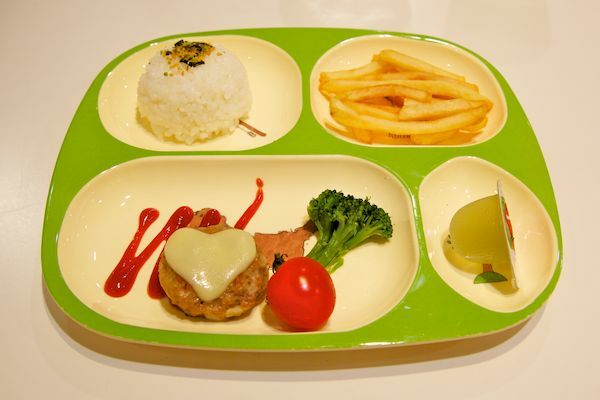 With carefully considered decor, amenities and activities, parents can relax at the Tokyo Baby Cafe safe in the knowledge that kids will be having fun, not causing chaos. Playing on the parents and babies theme, the interior design is scaled as absolutely huge or absolutely tiny, depending on your perspective. 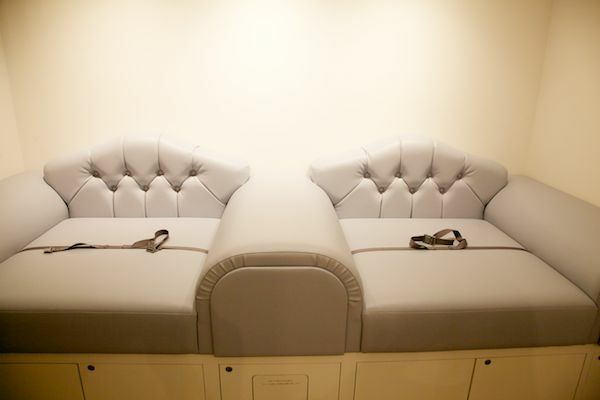 Enormous couches, big windows paired with small ones, floorboards that vary in size and pictures on the underside of tables where parents can’t see are just some of the clever design touches. The cafe is fully stocked with picture books and toys, a playroom, private rooms (mother’s group, anyone? ), separate areas for nursing and nappy changes (on the most luxe change tables I’ve ever seen) and of course, fantastic kid-friendly food – look at the photo of Polly’s lunch below! 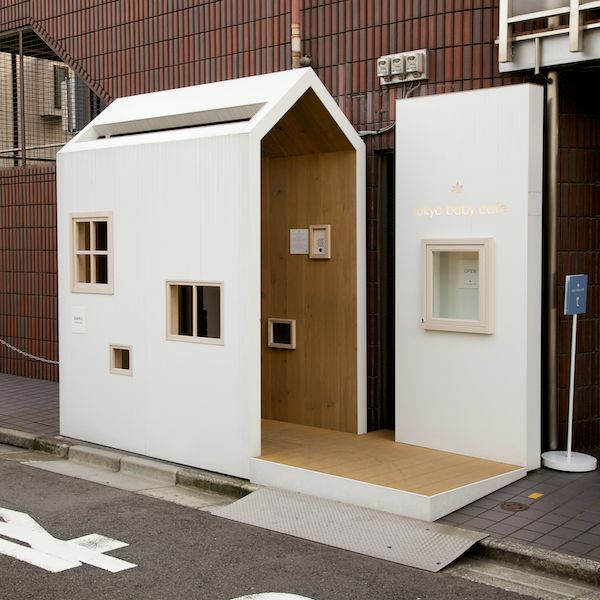 The Tokyo Baby Cafe was designed by Nendo and if you are visiting Japan you will find it on Jingumae street in Shibuya-ku, Tokyo. The cafe is solely for children under seven years of age and only people accompanying children or pregnant women may enter. A fee of ¥500 per half hour is charged.